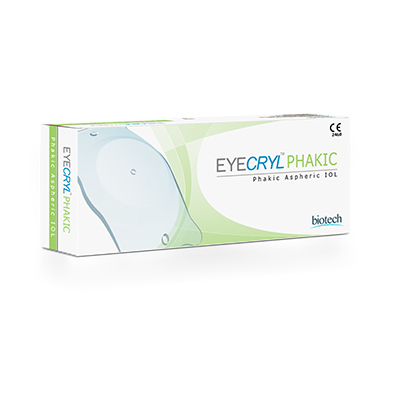 EYECRYL PHAKIC lenses are intended to be placed in the posterior chamber directly behind the iris and in front of the anterior capsule of the human crystalline lens. The lens is designed to reduce low to high myopia. It is indicated in Phakic adults for the treatment of low to high Myopia. User friendly & accurate Online Calculator provides Eyecryl Phakic model recommendation and Spherical Power to be implanted.